Remind workers who have had life changes, such as marriage, divorce, or a change in the number of dependents, to make the appropriate changes to their withholding on Form W-4. Remind employees who wish to continue claiming exemption from withholding to submit a new Form W-4 by Feb. 15, 2012. Beginning Feb. 16, 2012, you must withhold based on a marital status of “single” with zero withholding allowances for employees who claimed exemption from withholding in 2011, but who have not submitted a 2012 Form W-4. Collect benefit and payroll adjustment information and post to employees’ payroll records. This information should include relocation, educational assistance, group-term life insurance, third-party sick pay, company cars, manual checks, and void checks. Order enough W-2 forms for all the employees who have worked for you this year, as well as some extras to allow for any mistakes. Consider preparing, printing, and filing W-2s online at the Social Security Administration (SSA) website, if you don’t do this already. Verify employees’ names and Social Security Numbers (SSNs) at http://www.ssa.gov/employer/ssnv.htm. Run a special payroll, if necessary, to record all manual and voided checks issued between the last regular payroll and December 31st. Conduct a final review of the general ledger for hidden wages (generally, taxable noncash fringe benefits). Verify that the bank reconciliation is complete through November and ask the bank to prepare an early cutoff statement for December. Make sure your payroll system will be updated by January 1 to take into account any changes in federal tax-free limitations and state unemployment taxable wage bases. Obtain new forms, withholding tables, and publications. Review the new Social Security wage base, deferred compensation limits, mileage rates, and state unemployment wage bases. Let employees know about changes to tax figures. The above communications may help reduce the number of questions that you receive from employees in the coming months. Reset all year-to-date balances to zero. Reset all wage bases, rates, and taxable limits. Reconcile W-2 totals against the four quarterly 2011 Forms 941. Run a report to verify W-2 information before printing forms. Make sure you have a Social Security number for each employee. Review the report for employees with: (1) wages over the 2011 Social Security wage base limit of $106,800; (2) benefits that must be reported in box 10 or 12 of Form W-2; or (3) statuses that must be checked in box 13 of Form W-2. Buy postage for mailing W-2 forms. If you offer any pre-tax deductions, prepare a notice for employees that explains the calculations in boxes 1, 3, and 5 of Form W-2. W-2 electronic filing improvements. Beginning with this filing season, employers will be able to submit up to 50 W-2 forms to the SSA through W-2 Online (previously, up to 20 W-2 forms). Employers may now submit both current year and prior year W-2 forms electronically. Previously, only the current year could be submitted electronically. W-2 deadline. W-2s must be mailed or delivered to employees by Jan. 31, 2012. The APA article in the Winter 2010 SSA/IRS reporter can be viewed on the IRS website at http://www.irs.gov/pub/irs-utl/ssa_irs_reporter_winter.pdf. Everybody is getting ready to decorate the tree and make all the trimmings for a great holiday season but at Bagby, Johnson and Associates we are getting ready for a different season and that is Tax Season. On December 7-8th our firm will be attending the Vern Hoven’s Federal Tax Update Course held at the Charleston Civic Center. Some of the Seminar Contents that will be covered are current developments that will be affecting individuals and their retirement plans, Real Estate and Passive Loss, Partnerships and LLCS and IRS Practice and Procedures and so much more. Now is the time to do your tax planning. Talk to one of our accountants or CPAS to see if any changes have effected you this tax year. We look forward to working with you and know that our firm will have the best knowledge that will allow them to make the best decisions for you on your 2011 tax return. IRS has issued its annual data book, which provides statistical data on its fiscal year (FY) 2010 activities. As this article explains, the data book provides valuable information about how many tax returns IRS examines (audits), and what categories of returns IRS is focusing its resources on, as well as data on other enforcement activities, such as collections. The figures and percentages in this article compare returns filed in calendar year 2009 and audited in FY 2010 to returns filed in calendar year 2008 and audited in FY 2009. What are the chances of being audited? Of the 142,823,105 total individual income tax returns with a filing requirement, 1,581,394 were audited. This works out to roughly 1.1%, a bit higher than the 1% rate for the previous year. Of the total number of individual income tax returns audited in FY 2010, 473,999 (30%) were for returns with an earned income tax credit (EITC) claim, a decrease from the 35.64% of all audited returns for FY 2009. Only 21.7% of the individual audits were conducted by revenue agents, tax compliance officers, tax examiners and revenue officer examiners; the bulk of the audits (about 78.3%) were correspondence audits. The percentages for FY 2009 were 22.8% and 77.1% respectively. For business returns other than farm returns showing total gross receipts of $100,000 to $200,000, 4.7% of returns were audited in FY 2010, up from 4.2% in FY 2009. For business returns other than farm returns showing total gross receipts of $200,000 or more, 3.3% of returns were audited in FY 2010, versus 3.2% in FY 2009. Of the returns showing farm (Schedule F) income, .4% were audited in FY 2010 versus .3% in FY 2009. For returns showing total positive income of $200,000 to $1 million, 2.5% of returns not showing business activity were audited, and 2.9% of returns showing business activity were audited; for FY 2009, these percentages were 2.3% and 3.1% respectively. For FY 2010, the audit rate for returns with total positive income of $1 million or more was 8.4%, a substantial increase from the 6.4% rate in FY 2009. Not surprisingly, examination coverage increases for higher income earners. For example, the percentage was .71% for those returns with adjusted gross income (AGI) between $100,000 and $200,000 (up from .67% for FY 2009), and 1.92% for those with $200,000 to $500,000 of AGI (up slightly from 1.86% for FY 2009). Exam coverage increased to 6.67% for those with at least $1 million but less than $5 million of AGI (up from 5.35% for FY 2008). Similarly, coverage increased for those with at least $5 million but less than $10 million of AGI, as well as for those with AGI of $10 million or more. For all corporate returns other than Form 1120S, 1.4%, versus 1.3% for the year before. For small corporations with total assets of: $250,000 to $1 million, 1.4%; $1–$5 million, 1.7%; and $5–10 million, 3%. For FY 2009, the percentages were, respectively, 1.3%, 1.8%, and 2.7%. For large corporations with total assets of $10 million or more, the overall audit rate was 16.6%, up from 14.5% for FY 2009. The audit rate for these corporations increased with the size of the entity. For example, the audit rates were 13.4% for those with total assets of $10–$50 million (up from 10.1% for FY 2009); 16.1% for those with $250–$500 million (versus 15.8% for FY 2009); 45.3% for those with $5–20 billion (down from 48.7% for FY 2009), and 98% for those with $20 billion or more (down from 100% for FY 2009). For partnership and S corporation returns, the audit rate was .4%, the same as for the year before. IRS’s activity on other fronts. Here’s a roundup of some of the other valuable information carried in the new IRS Data Book. Number of returns filed. The number of partnership returns filed (Form 1065) dropped by 1.6%, and the number of S corporation returns (Form 1120S) grew by .3%. The number of C or other corporation (e.g., REMIC, REIT, RIC) returns dropped by 4.8%. The number of individual income tax returns (Forms 1040, 1040A, 1040EZ, 1040EZ-T) dropped 6.7%, from FY 2008 to FY 2009, but in FY 2010 the percentage fell only 2% from the year before, reflecting some improvement in economic activity. Math errors on individual returns. Of the roughly 10.5 million math error notices that IRS sent out relating to the 2009 return, 60.8% were attributable to the making work pay credit (MWPC), which was a refundable tax credit based on earned income and was available to taxpayers in 2009 and 2010. Of the total math error notices, 9% were for tax calculation/other taxes (which includes errors related to self-employment tax, alternative minimum tax, and household employment tax), 4.9% related to exemption number/amount, 4.4% related to the EITC, 4.1% related to the standard/itemized deduction, and 1.3% related to the first-time homebuyer credit. Penalties. In FY 2009, IRS assessed 27.1 million civil penalties against individual taxpayers, up from 26.387 million civil penalties assessed in the previous year. Of the FY 2010 assessments, the “top three” penalties in percentage terms were 57.3% for failure to pay, 27.3% for underpayment of estimated tax, and 13% for delinquency. On the business side, there were a total of 1,145,931 civil penalty assessments (up from 970,098 for the year before), and 42.1% of these assessments was for either failure to pay or underpayment of estimated tax. Offers-in-compromise. In FY 2010 57,000 offers-in-compromise were received by IRS (versus 52,000 for FY 2009), and 14,000 were accepted (11,000 for the year before). Criminal cases. IRS initiated 4,706 criminal investigations in FY 2010. There were 3,034 referrals for prosecution and 2,184 convictions. Of those sentenced, 81.5% were incarcerated (a term that includes imprisonment, home confinement, electronic monitoring, or a combination thereof). By way of comparison, in FY 2009, IRS initiated 4,121 criminal investigations, and there were 2,570 referrals for prosecution. Of those sentenced, 81.2% were incarcerated. The IRS 2010 Data Book can be viewed at http://www.irs.gov/pub/irs-soi/10databk.pdf. The tax laws enacted in the last couple of years contain important income tax and information reporting provisions that are effective for the first time in 2011. To inform you of what’s new in the tax rules, here’s a summary of the key tax changes for 2011, broken down into three categories: Personal Income Taxes, Retirement Plan Changes, and Tax Changes for Businesses and Investors. If you’d like to discuss how these changes affect your personal, business or investment situation, please give us a call. Payroll tax holiday in place. Stricter rules apply to energy saving home improvements. Partial annuitization of annuity contracts. Restricted definition of medicine for health plan reimbursements. Election to treat January 2011 charitable distributions as made in 2010. Electronic filing rules now in place. Up-to-$1,000 credit for “retained workers” in 2011. New basis and character reporting rules. Corporate actions that affect stock basis must be reported. Reporting requirement for payment card and third-party payment transactions. Information reporting for real estate. Bagby, Johnson & Associates, AC is a proud sponsor of the 2011 Adam Johnson Memorial 3 Mile Run. We encourage all who can to participate in this event. Run or walk. 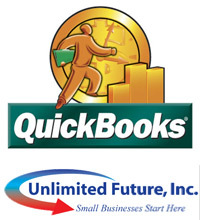 Basic Accounting with Quickbooks Basic Accounting with Quickbooks class will teach you how to take charge of your record and bookkeeping. Taught by Bagby, Johnson & Associates, AC, this course will teach basic and advanced Quickbooks mechanics that will be important to your business. If you are familiar with accounting, this class will show you how to use Quickbooks to make your bookkeeping activities less time consuming. The two day class will be held at Unlimited Future, Inc. 1650 8th Ave. Huntington, WV 25703. $75 per person for 2 or more people sharing a computer. For more information or to register, please contact us at 304-6973007 or click the link below. Space is limited. Register today! You can pay by check, cash or credit card. To pay by credit card please visit our website to check out through Google Checkout. We are so glad to have our new website up and running. The site includes new professional photography, a blog, social media and is beautifully designed. Each of our team members are highlighted and our accounting services are featured. It represents our company image well.